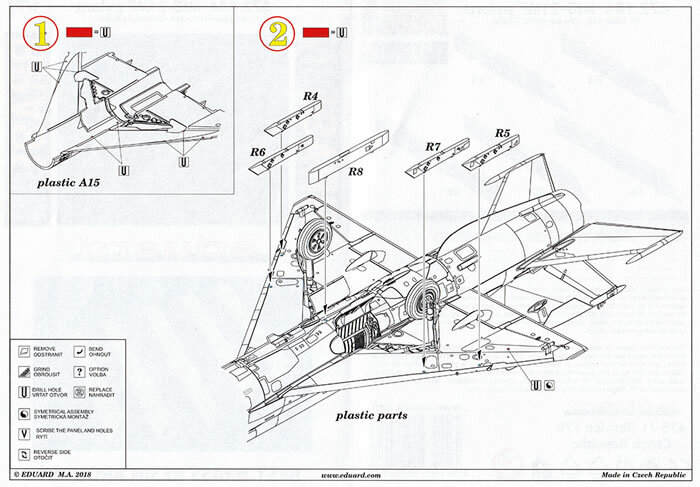 Lovely detail, Eduard’s usual clear instructions, suitable for any of the Eduard MiG-21MF kit. 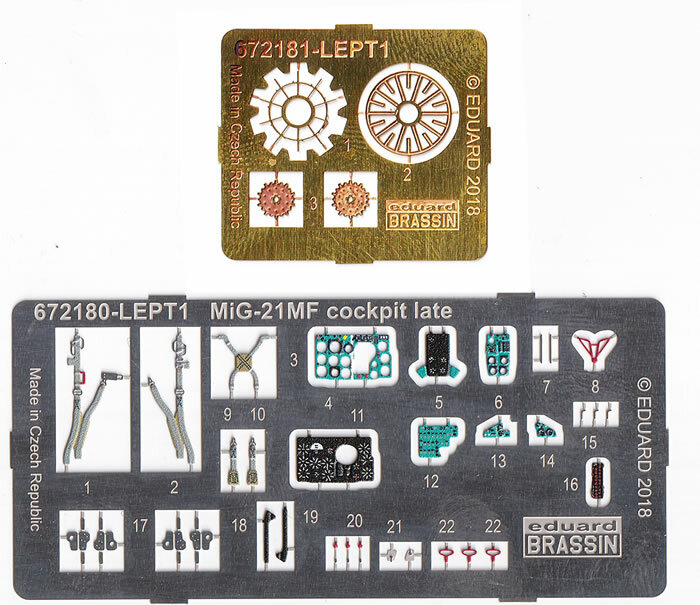 This set will enable you to detail your MiG-21MF to an extremely high level of detail. 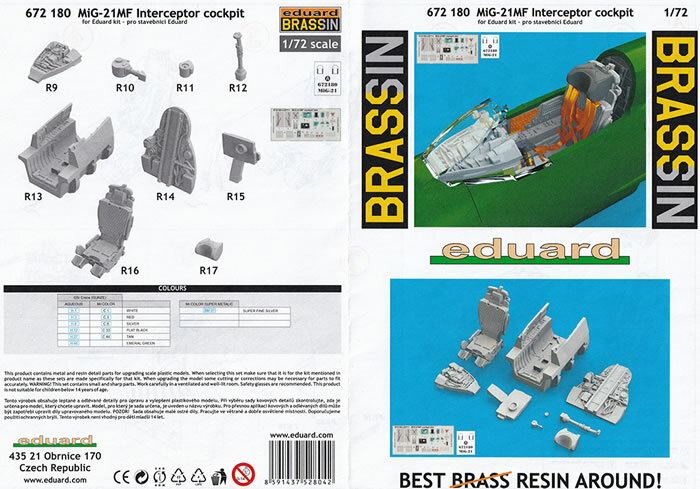 Eduard has released the BIG SIN MiG-21MF Interceptor set to go with their lovely 1/72 kits they have released. 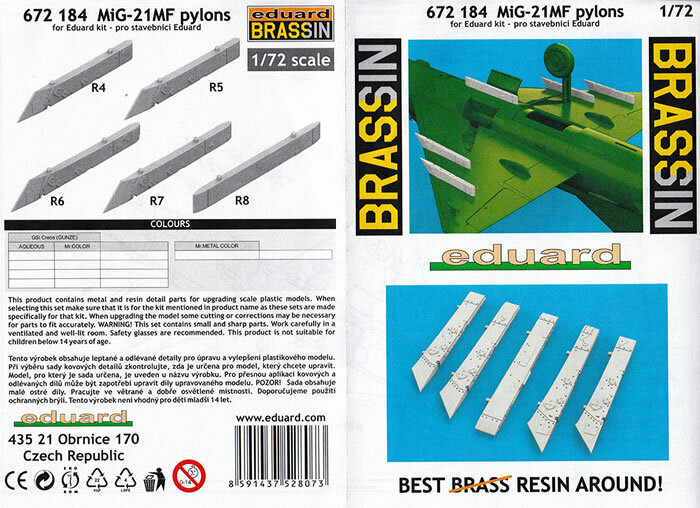 This set open for you to find 4 separate sets of lovely delicate Brassin resin parts and photo-etch to enable you to really lift the level of detail in your MiG-21MF model. 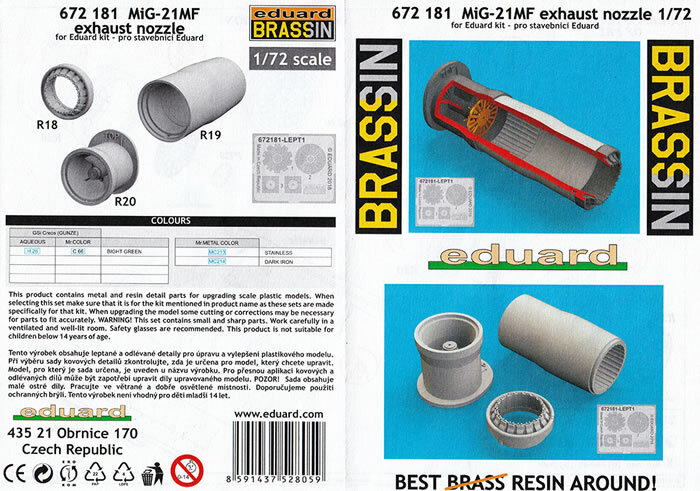 To me, this would be a nice companion to a Weekend boxing of the MiG as you won’t be paying for any of the Profipack etch etc. 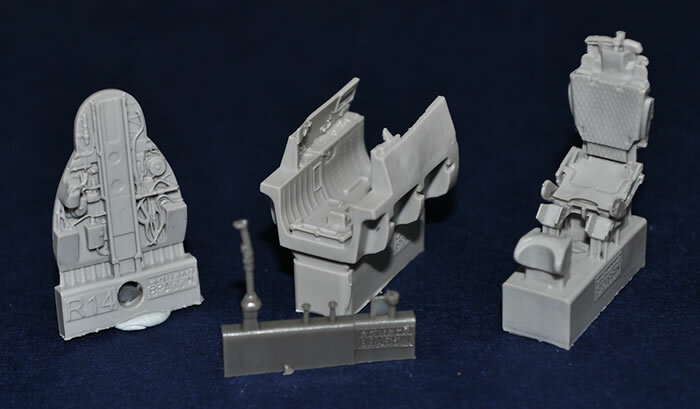 Colour call outs on all sets are for either Gunze Aqueous or Mr Color paints. 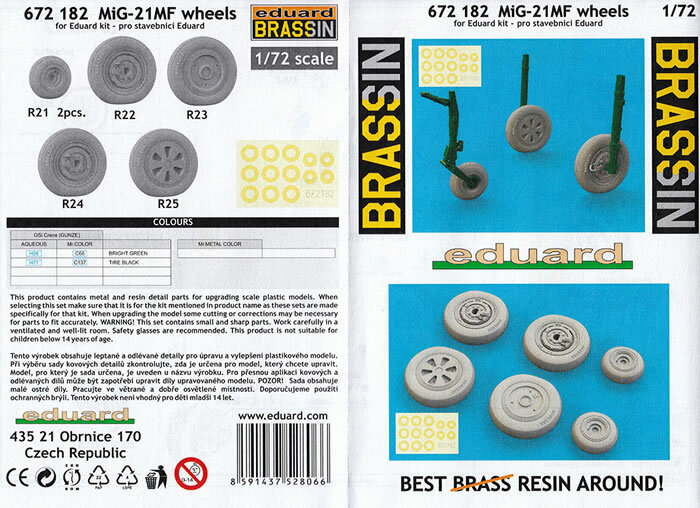 This Brassin set provides 9 grey resin parts which include a wonderfully detailed cockpit tub, ejection seat, instrument panel and coaming for said panel. 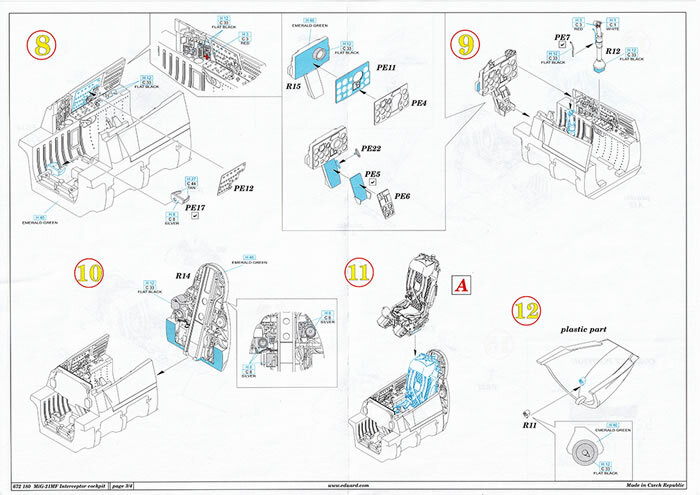 There is also a small sheet of coloured photo-etch with instrument panel faces, seat belts and side panels for the cockpit. 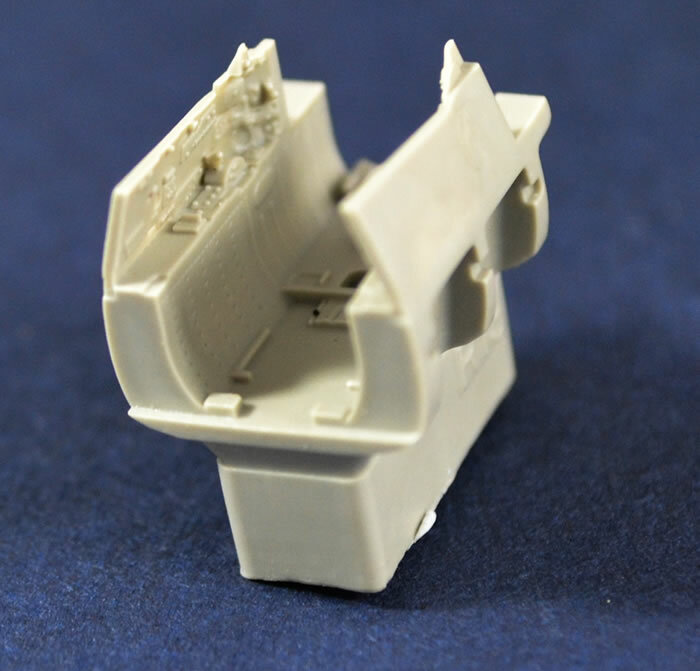 The rear cockpit wall is a superb piece of casting with crisp detail and beautifully moulded which will really will lift the look of the cockpit, especially if you have it open…..which with this level of detail it should be! 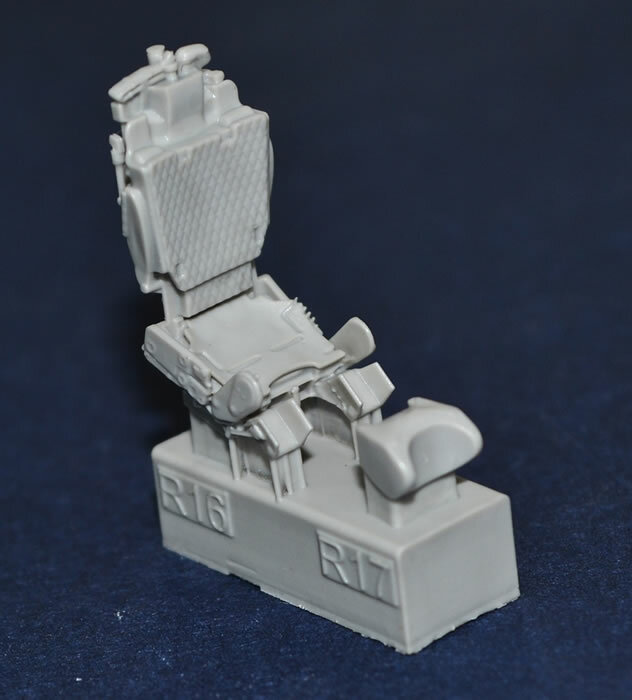 With the amount of raised instruments and panels, the painting and detailing will certainly challenge you to create a realistic looking cockpit. 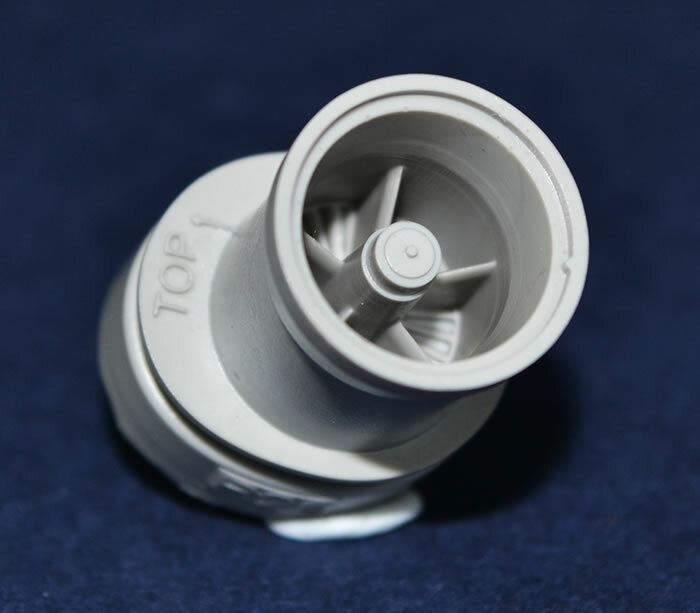 This is a smaller set with 3 resin parts which will give you the inner engine blade face, the exhaust tube and a nicely detailed nozzle. 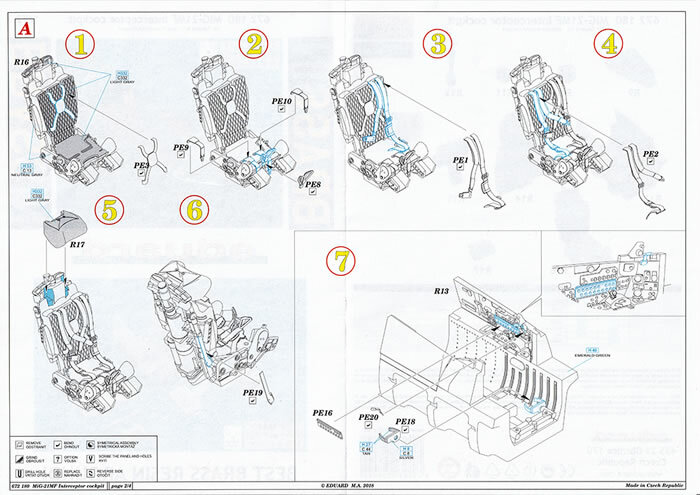 To complement these parts are 3 delicate etch parts to create the after burner frames. 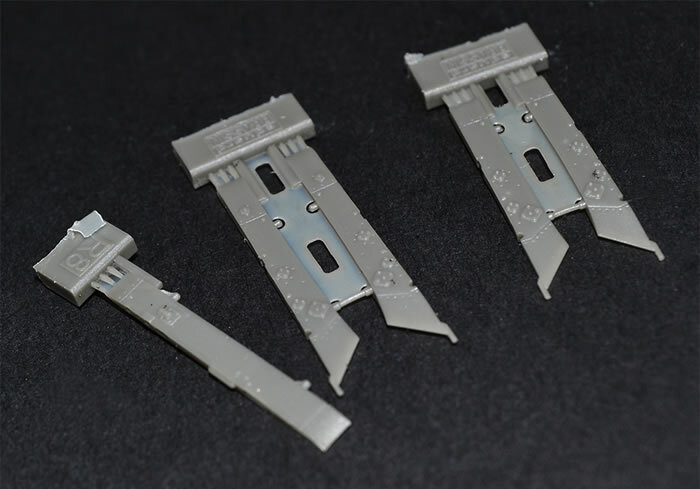 You will need to be really careful in construction with these as they are so fine and delicate. 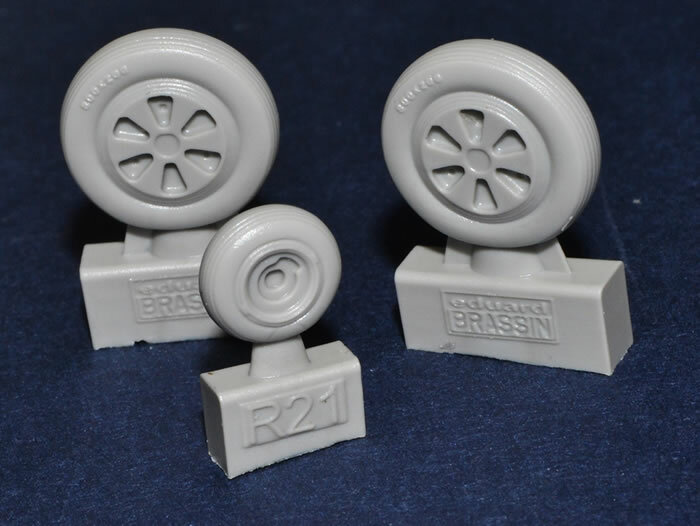 The Brassin set of MiG-21 wheels gives you 2 different sets of main wheels and a nose wheel. 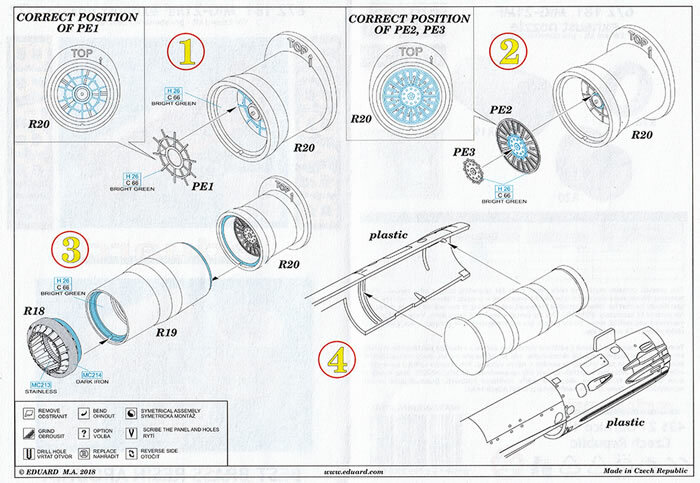 The difference here is whether you use the smooth outer hub or the spoked versions. 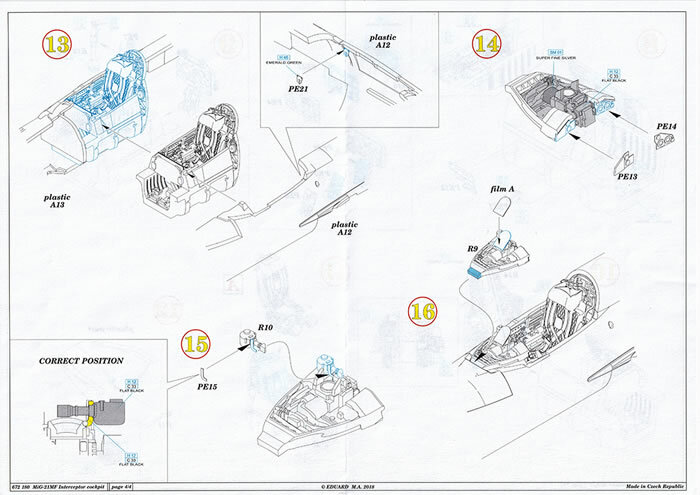 Here, you will need to refer to your references to select the correct version for your exact aircraft. 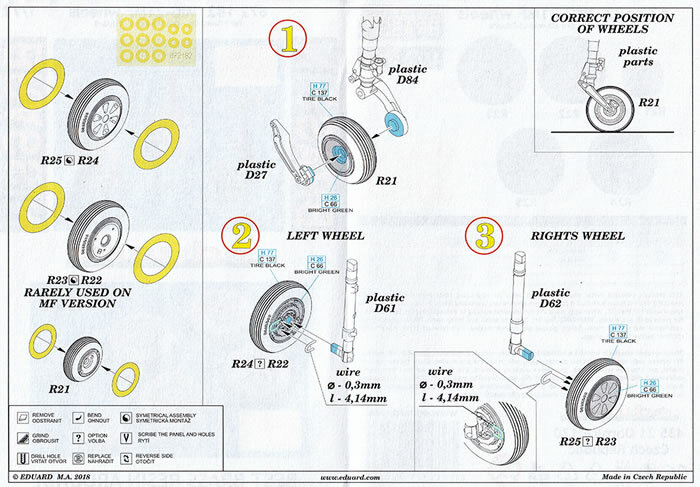 All wheels are weighted and look quite in proportion. 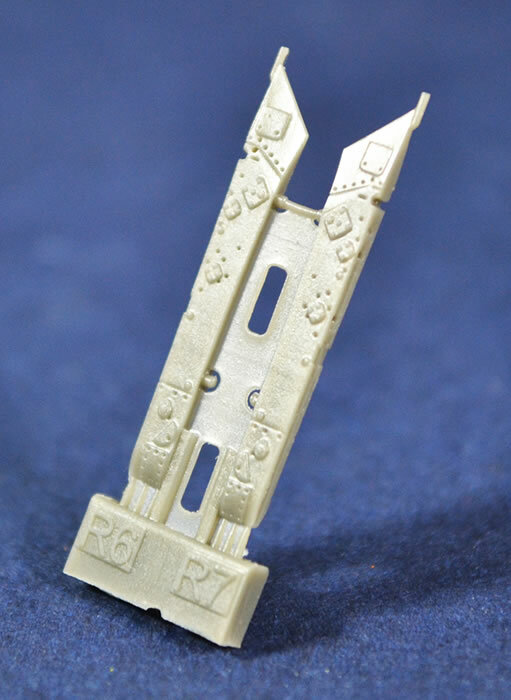 These are to be added to the kit undercarriage legs. 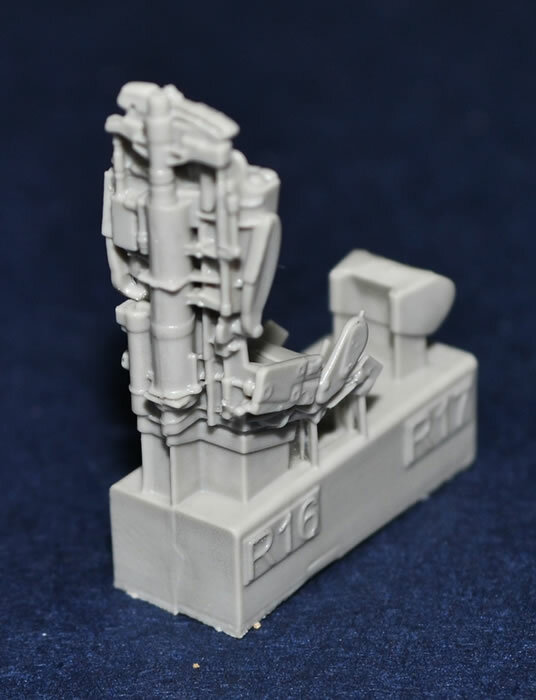 This set of pylons offers a greater degree of detail on each of the 5 pylons. 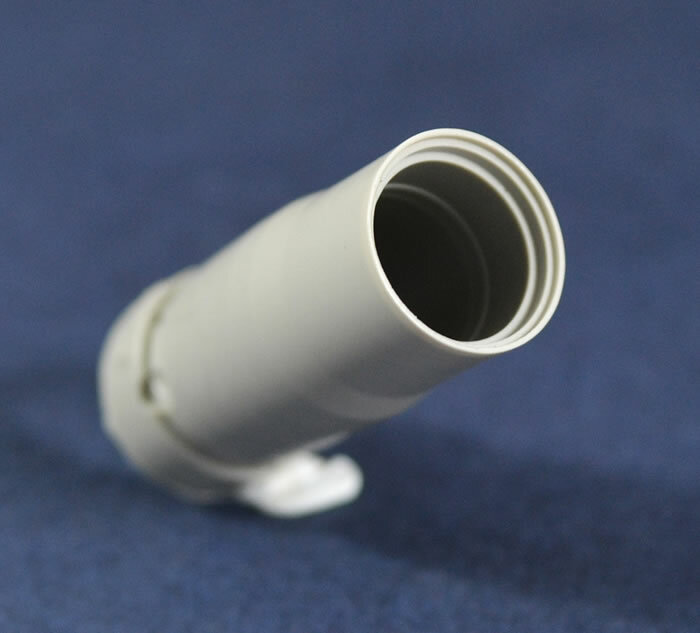 You are supplied with, one centre pylon, 2 inner wing pylons and 2 outer pylons. 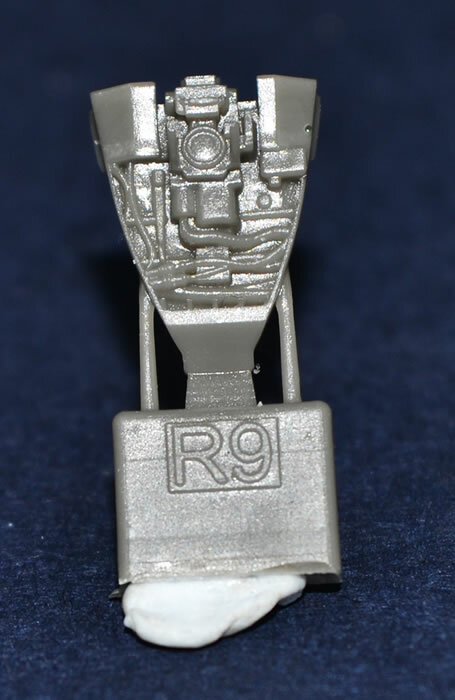 Each pylon has a nice mix of raised and recessed detail, which with a wash after painting will real lift the final model. 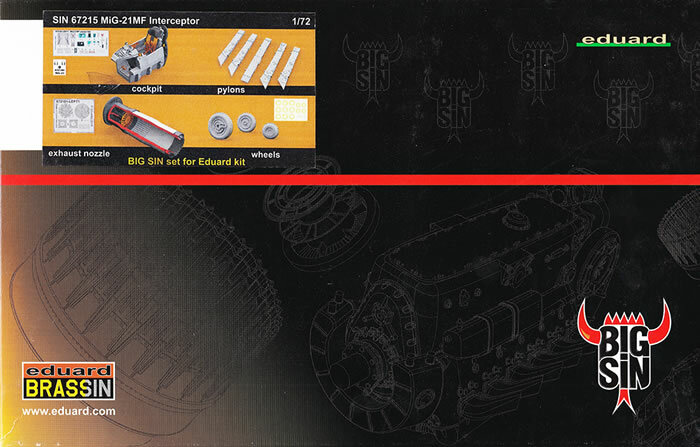 This BIG SIN set offers, you the modeller, an excellent series of resin and etch details to lift your model to the next level. 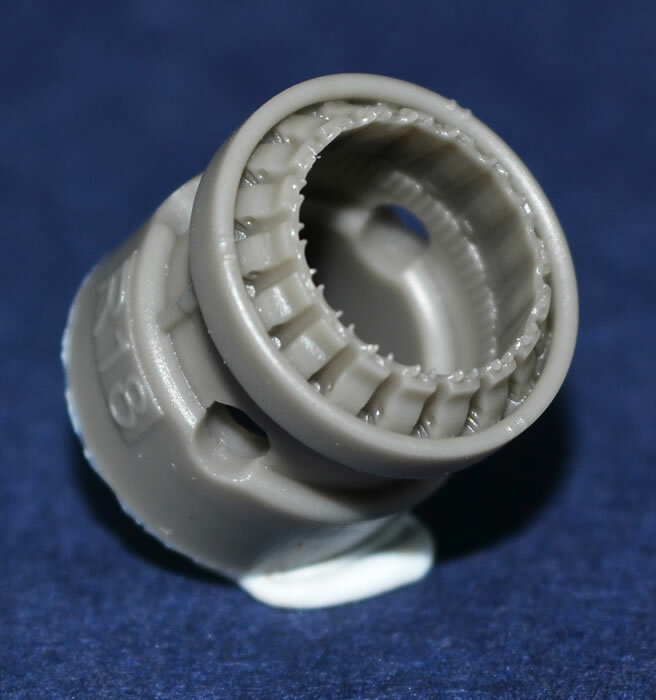 Whilst I highly recommend this product for its quality, be aware that it’s not that cheap and will certainly add a degree of increased difficulty to your build, especially if you are a beginner modeller.